Photo: Courtesy of Chris Mosier/Narcissa. With Memorial Day weekend behind us, the week ahead is looking a little, well, drab. No more relaxing at the beach. No more spending the days in your pajamas. We get it! But, ever the silver-lining finders, we've taken it upon ourselves to share eight fun, delicious, and relaxing reasons to be excited about returning to NYC. Play board games and ping-pong at Blue Ribbon Beer Garden. This Lower East Side haunt has everything you need for a perfect summer afternoon: drinks, a barbecue, paper lanterns, board games, a ping-pong table, and more. It may not be the beach, but it's definitely a great way to spend the weekend outside. When: Mondays through Fridays, 5 to 10 p.m.; Saturdays and Sundays, noon to 10 p.m.
Where: Blue Ribbon Beer Garden, 190 Allen Street (between Houston and Stanton streets), second floor; 212-466-0404. Practice yoga in Bryant Park. Athleta and Bryant Park have teamed up to offer free yoga classes every Tuesday and Thursday all summer long. Instructors from YogaWorks will lead hour-long sessions, providing not only a sweat-worthy workout but also an opportunity to meet fellow yoga lovers outdoors. Mats are provided on site. Just be sure to sign up in advance. When: Tuesdays and Thursdays, various times. Where: Bryant Park, 40 West 40th Street (between Fifth and Sixth avenues). Shop a big sale for some pretty little things. Fleur du Mal has extended its debut sample sale onto the Internet, offering lingerie and ready-to-wear styles up to 75% off through Sunday, June 1. Time to stock up! When: Through Sunday, June 1. Try a new restaurant before it opens. Chef Sarah Simmons will be hosting a four-course Southern Comfort dinner at CITY GRIT on Wednesday evening. This installation at the culinary salon is particularly exciting, as the night's menu will provide a sneak peek at Simmons' upcoming restaurant. When it opens, Birds & Bubbles will offer elevated Southern dishes with a focus on fried chicken and Champagne. When: Wednesday, May 28, at 7:30 p.m.
Where: CITY GRIT, 38 Prince Street (between Mott and Mulberry streets); no phone. Say happy birthday to Antoinette. This Brooklyn boutique is celebrating three years on Grand Street with a PBR-sponsored shindig. All vintage clothing will be up to 20% off, DJ Rok One will be on the ones and twos, and the first 50 customers will receive a Zippo gift with purchase. Round up your friends, and stop by for a drink, a new dress, and a good time. When: Thursday, May 29, 7 to 11 p.m.
Where: Antoinette, 119 Grand Street (between Berry Street and Wythe Avenue), Brooklyn; 718-387-8664. Score a dress for only $10 at Babel Fair. This Nolita spot is pricing each item at this weekend's sample sale at a mere $10. Alternatively, you can pay $40 and fill an entire bag — a whole bag! Is it obvious which option we'll be choosing? When: Friday, May 30, to Sunday, June 1, 11 a.m. to 7 p.m.
Where: Babel Fair, 260 Elizabeth Street (between East Houston and Prince streets), 646-360-3685. Your trusty neighborhood diner will always have a place in your heart. 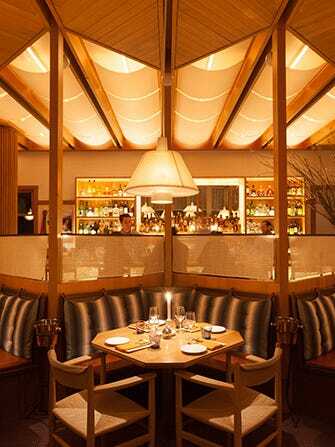 But, this new East Village restaurant, which recently debuted a delectable brunch menu, will be well worth the trip. Try the French-toast bites or the poached eggs on avocado toast. Is it the weekend yet? When: Saturdays and Sundays, 10:30 a.m. to 4 p.m.
Where: Narcissa, 21 Cooper Square (at 5th Street and Bowery); 212-228-3344. Unearth the secrets of gay history in Central Park. That is indeed the title of David Cobb Craig's sidetour page, which invites New Yorkers and out-of-towners alike to see Central Park for the hotbed of history it is. Craig's insightful and little-known facts are sure to inform and excite. When: Saturday, May 31, noon to 1:30 p.m.